Get played-in feel and tone from a new, beautifully crafted instrument. 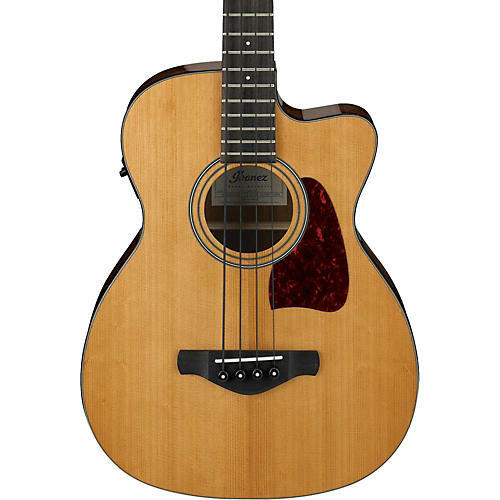 The “modern approach to acoustic guitar tradition” has long been Ibanez's catchphrase for the Artwood series. Artwood Vintage steps even further back in history and borrows the best features of highly desired vintage instruments. The Artwood Vintage series now showcases another vintage element by applying an “aging” process to the tonewood —"Thermo Aged" tone wood, made by a special drying process at a high temperature which is commonly known as “baking” or “torrefaction”. Only choice selected and seasoned tone wood can be cured to Thermo Aged wood. The wood is heated in a vacuum with a specific recipe for each kind of the wood in order to release water and decompose resin contained within the wood. As a result, Thermo Aged tone wood becomes light, hard and stable like tone wood dried for decades, while providing amazing response and a louder sound. The tone character includes a full-bodied low-end and a great smooth sustain in the treble strings which are common features of vintage guitars. The AVCB9CE features Thermo Aged tonewood with Solid Sitka Spruce on the top, Spruce bracing, and a Maple bridge plate. Its compact Grand Concert body provides comfortable playability with a 32” scale length. With its combination of Thermo Aged materials, it projects a clear and remarkably well-balanced tone from high to low. The Fishman Sonicore pickup and Ibanez AEQ-SP2 preamp with a 2-band EQ let you enjoy the same great acoustic tone plugged in on stage. A bone nut and saddle are chosen for its ability to transfer the string vibration naturally.